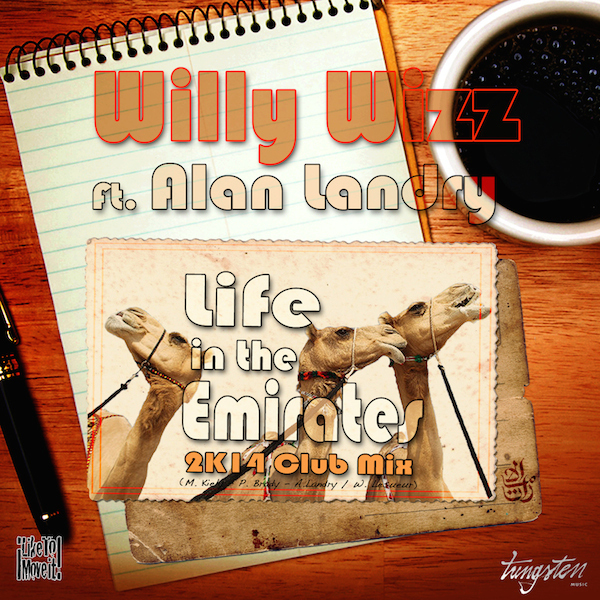 Willy Wizz’s Hot New Single: Life in The Emirates 2K14 ClubMix, featuring Alan Landry ! In 1979, the original “Life In The Emirates” by The Establishment, brought joy to the middle-eastern crowd, and we believe now is a good time for the younger generations to experience these sensations once more with this 2K14 Club Mix, produced by Willy Wizz Ft. Alan Landry, “The Legendary Voice Of Monaco” released under ILIKETOMOVEIT!® ( by Tungsten Music). To celebrate this brand new release with our Djs all over, you can grab a FREE DOWNLOAD of the 2K14 Club Dub on our Soundcloud, for your crazy mashups and bootlegs ! We might just release a record with the best ones ! Get your copy of all 3 Edits below but before you do, make sure you fasten your seat belts, and get ready for a magic carpet ride !